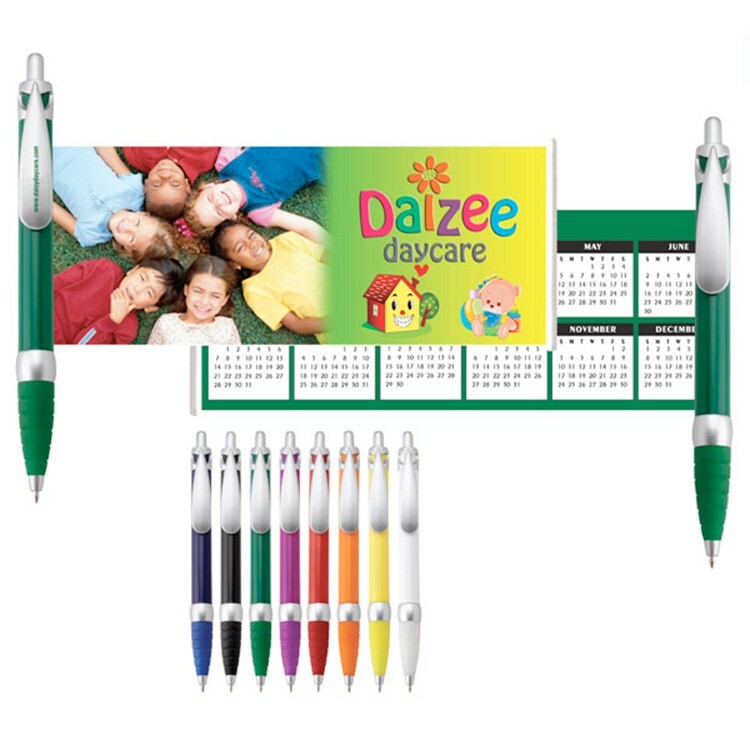 Plastic push-action pen with customized double-sided imprint on a retractable banner. Retractable Banner Imprint: 4 color/2-sided imprint included in price. Banner design not included in the price.